Do you feel like your front line supervisors are not getting the results you want? Are they making decisions that you do not understand? Decisions that are in contradiction to your policies and values? Are employees trained in how to be a supervisor BEFORE they are promoted? Is there a relationship between development and organizational/personal rewards? In most cases, front line supervisors have not been developed to the degree they need to be prior to being promoted. 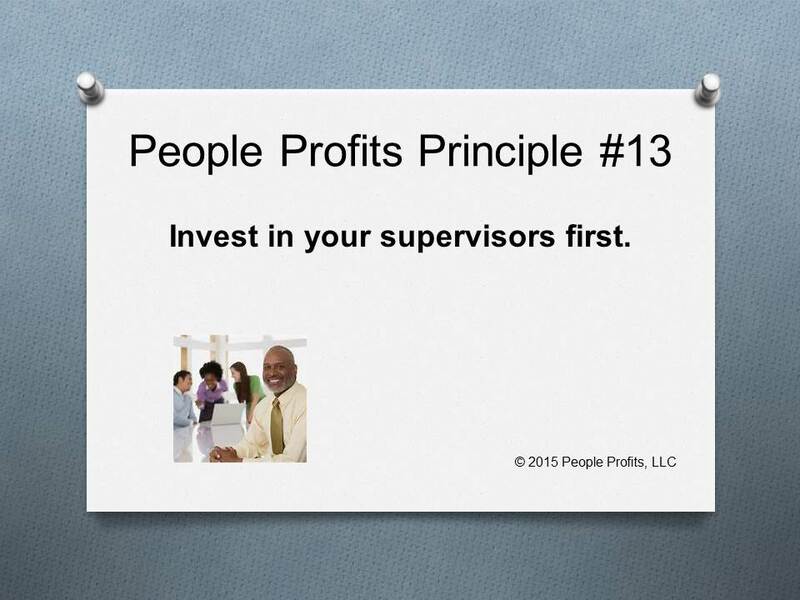 Supervision is the face of the organization - a bad one is creating turnover and costing you money. People Profits believes the vast majority of employees, including supervisors, want to do a good job and desire development. In most cases, organizations should start with their front line supervisors - it will have the greatest impact and therefore value. Next in line would be customer service.